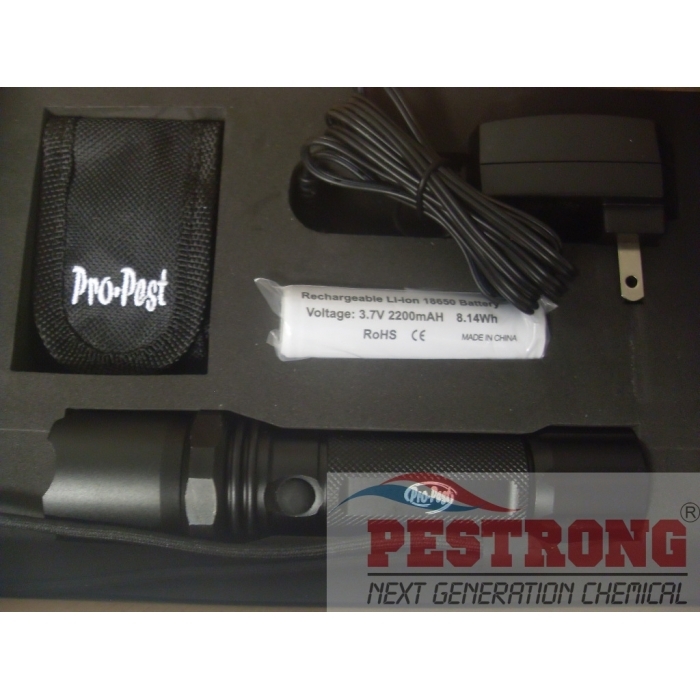 Where to Buy Pro-Pest UV Flashlight, Pro-Pest 3 Watt LED UV Rechargeable Flashlight - $48.95 for Sale with Fast Free Shipping! Pro-Pest 3 Watt LED UV Rechargeable Flashlight is the professional grade flashlight comes with ac adaptor and holster. Avert Dry Flowable Roach Bait Insecticide -.. 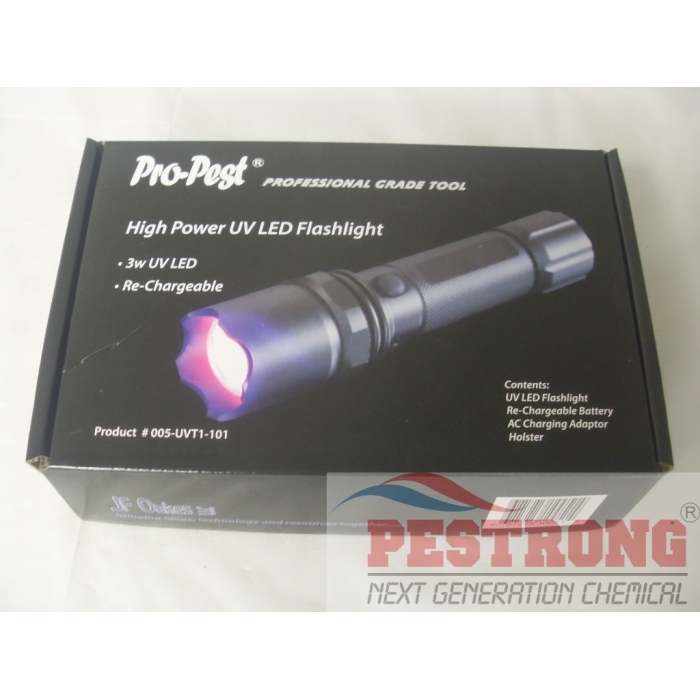 This LED UV Flshlight is a powerful tool for tracking rodent urine and use to locate rodent habitat. Model#005-UVT1-101 : Comes with ac adaptor and holster! One tool for many jobs! This is a great kit for monitoring rodents, regardless if you are in pest control services or not. It is a great way to check on your home and surrounding area to protect it and your family.